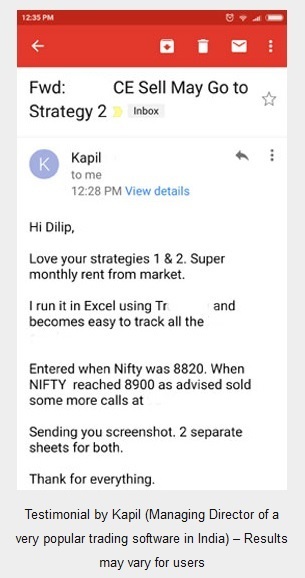 Read to know why many option sellers sell options on expiry day and try to make money. 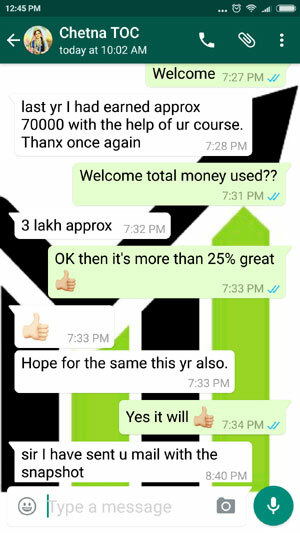 I am your follower, though I am new to your course joined some days back, also familiar with market. 1) Why bears/shorter select the expiry date or day before/near expiry only, for heavy selling? Last time, on some expiry day only, the reason was Bank of Japan’s rate policy & on today’s expiry, reason is India’s surgical attack on LOC, whereas these reasons were already known for these bear community. 2) Why Long straddle / strangle is useful in the expiry week? 3) Can one go for Long straddle/strangle in this type of vertical fall? Request your expertise comments, at your convenient. I replied him the reasons, but I want to share with you as well. It is true that on derivative expiry day a lot of selling / shorting of options (not futures) takes place. But why on Expiry Day? The reason is pretty simple. This is the day ALL the out of the money options will expire worthless. If they expire worthless all the buyers money will be eaten by sellers. But there is a condition – it has to expire worthless. If it does not then there can be heavy losses for the sellers. The problem with greedy sellers is that they forget what if they lose. If you observe India VIX, on the expiry day, you will see that it almost always increases on expiry day. VIX is directly associated with panic in the markets. On expiry day most sellers and buyers are in a panic mood until the trade is closed. Biggest mistakes by option and future traders are done on expiry day. Sellers hope that the option they sell will expire worthless and they can keep all the money they got for selling. On top of that they know if it expires worthless they will not have to even close the trade as when the option expires worthless there is no need to close. Though if they do not expire worthless you must close them. Basically this trade is on hope. But the sellers forget that if there is even slight jump in the last minutes of the market closing they may lose years of profits in a jiffy. On last day of trading even 200 points OTM out of the money options open at very low premium like 2 or less. Not worth selling. 100 points out of the money will be approx 3-5, again not worth selling. So the only option left is to sell ATM at the money options. Now this gets a bit risky. This opens at around 15-20 to attract trading. Please understand that if option prices are not worth to sell, the sellers will not sell and trading cannot take place. 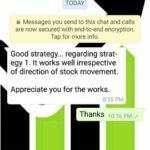 Therefore to make sure trading does takes place, market makers keep some attractive premiums in only at the money options. Here is Historical Contract-wise Price Volume Data of Index Options, Index Futures, Stock Options, Stock Futures and Volatility Futures (very low volume here in india). 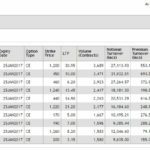 You will see that volume of trading in ATM options is always high on most trading days, but exceptionally high on the expiry days. One reason is obvious that traders are closing their positions. 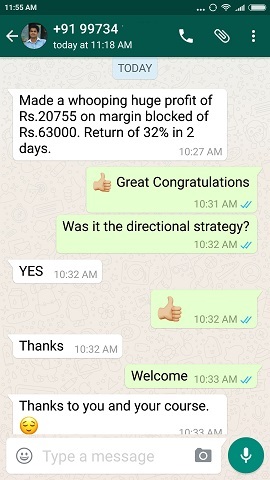 But the biggest reason why trading is done in ATM options on the expiry day is the most traders close their positions in other strikes and try their luck in ATM options depending on their view. Some become buyers and some sellers. It was through you I became aware of the tax clause which creates a catastrophe in terms of the astronomical tax that gets kicked in when a option contract is not closed but just allowed to expire. A solution to this catastrophe is that this tax should not be levied in this manner but, will the authorities say yes to this sane request. Practically in India this is a impossibility. I have written an article on Expiry Day Securities Transaction Tax STT. You can read to know more. 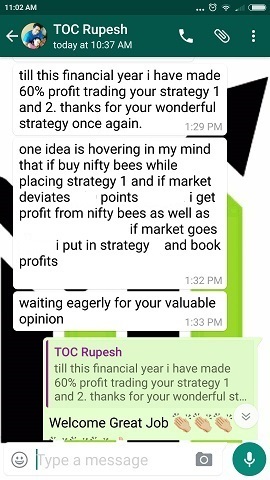 Basically you must close all your option and future trade before expiry day manually to save any kind of unknown taxes. It is better to pay brokerage than get into complications.